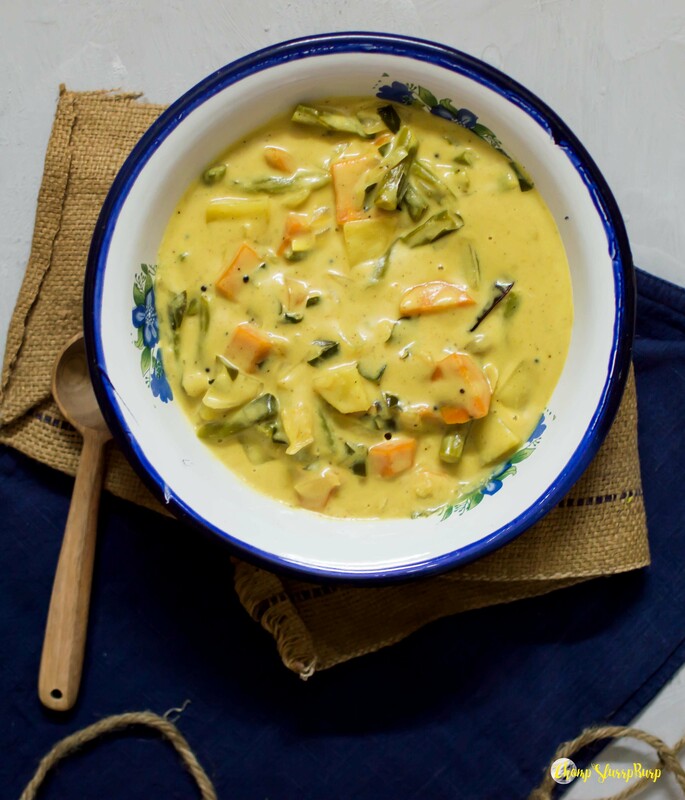 Kerala Vegetable Curry - CHOMP! SLURRP! BURP! My recent obsession with fresh coconut milk and the underlying, refreshing coconut flavors seems like one which isn’t going to die anytime soon. After trying out Kerala Chicken curry, it was time to get trying on a vegetarian version for simpleton meals as well. This is thicker in comparison to the chicken one, but much simpler and lighter on the gut. 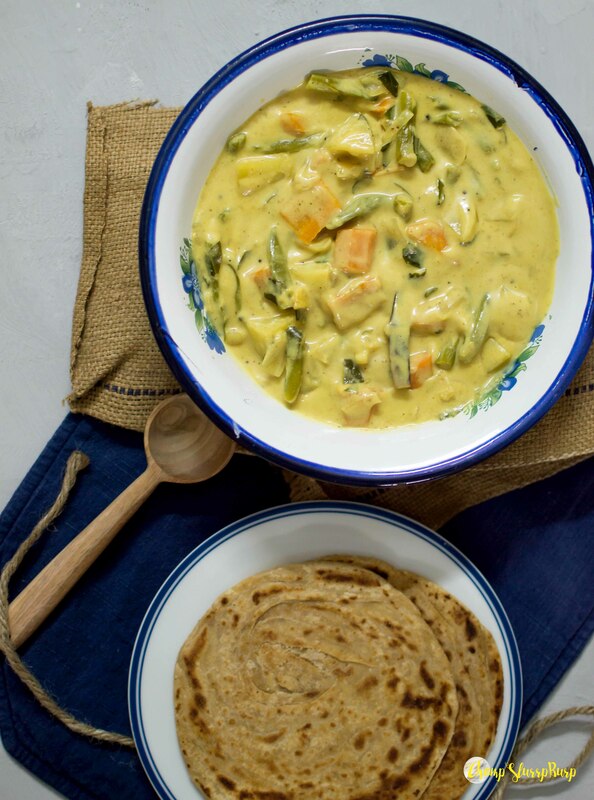 Teamed with crispy homemade paranthas this time, this curry is your easy dinner option. Start by thoroughly washing all the vegetables. Peel the potatoes and carrots, chop into thick cubes. Cut the beans into 1-inch pieces. Microwave the potatoes for 3 minutes to parboil them. Heat ghee in a pan and add mustard seeds and crushed red pepper (to release all the flavors) Ensure that the seeds don’t burn, remove from heat if required. Add the chopped vegetables, turmeric, and coriander powder. Mix well and cook for ten minutes. Season with salt and mix. Add cornflour to the coconut milk (it prevents the milk from splitting) and mix. Add the coconut milk into the pan, bring to a boil and let it sit for at least half an hour. Serve with crispy paranthas or rice.